The SeaWolves could not hang onto a ninth inning lead on Thursday night at NYSEG Stadium as they suffered their first road loss of the season, 4-3, at the hands of the Binghamton Rumble Ponies. 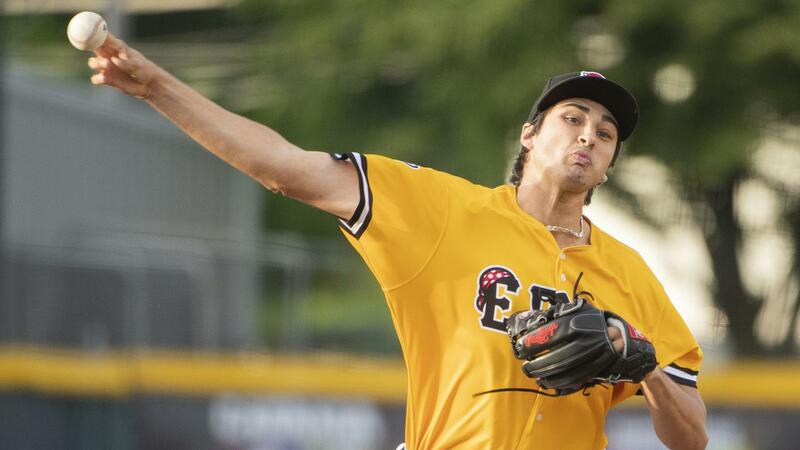 Erie starter Alex Faedo put together his second straight quality start. He was perfect for the first three innings of the game before surrendering a run in the fourth on an fielder's choice off the bat of Will Toffey. The run snapped Faedo's streak of 9.1 consecutive innings without allowing a run to begin the season. The Ponies added a run in the fifth when Barrett Barnes turned on a Faedo fastball and sent a solo home run to left to make it 2-0. It was the final run allowed by Faedo. He worked a 1-2-3 sixth inning and exited the game. The SeaWolves rallied in the seventh off of Binghamton reliefer Joshua Torres. Daniel Pinero singled with one out and moved to second on a wild pitch. Jake Rogers walked to put the tying run on base. With two outs, Cam Gibson laced an infield single off of a diving Patrick Mazeika at first, scoring Pinero to make it 2-1. Gibson stole second and Troy Montgomery singled home a pair for a 3-2 lead. Erie reliever Trent Szkutnik hurled scoreless frames in the seventh and eighth innings with a pair of strikeouts to send the 'Wolves into the ninth inning with a lead. Binghamton turned the tables in the ninth against Mark Ecker. Ecker walked Will Toffey to start the inning and Ali Sanchez singled, putting the winning run on base. Ecker then walked Barnes, loading the bases. Dario Pizzano grounded out to first, scoring Toffey, tying the game. Mike Paez then singled home Sanchez, giving the Rumble Ponies the walkoff win. Ponies reliever Zack Jones (1-0) earned the win tossing a scoreless top of the ninth while Ecker (0-1) took the loss allowing the two ninth inning runs. Faedo took his second straight no-decision. He allowed two runs on five hits with no walks and eight strikeouts in six innings of work. Faedo has struck out 15 batters and has not allowed a walk over his first two starts. The SeaWolves and Ponies meet in the second game of the series on Friday night at 7:05 p.m. Righty Spenser Watkins (1-0, 5.40 ERA) takes the mound for Erie against RHP Chris Mazza (0-0, 0.00 ERA).